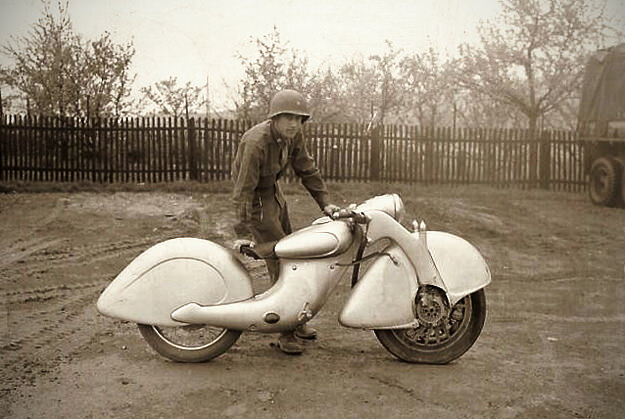 This is one of the most unusual motorcycles I’ve seen in a long time: it’s a ‘Killinger und Freund’ built in 1935 in Munich, Germany. The art deco styling is obviously eye-catching, but it’s hiding something even more interesting: this machine has a driven front wheel, like the Rokon Trail-Breaker. And underneath that huge front fender is the engine itself. If you can cast any further light on this oddity, please let us know.